Two new undercover phone calls have been released by Priests for Life and Abortion-Free New Mexico as part of an awareness project involving late-term abortions, in addition to calls already released from abortion facilities around the country. Call #1: On Wednesday, a call was released from Summit Medical Center in Detroit, Michigan, a late-term facility which commits abortions through 24 weeks of pregnancy. The caller tells the staffer that she wants an abortion at 22 weeks pregnant. She is told that it is a two-day procedure, with a cost of $2,300 — and the abortion can be done, even though there is ostensibly nothing wrong with the mother or baby. “Eighty percent of American women support this reasonable legislation,” Shaver noted. Call #2: The second call, released today, was from Presidential Women’s Center in West Palm Beach, Florida, which commits abortions up through 22.5 weeks of pregnancy. The caller tells the staffer that she is 22 weeks pregnant, and the staffer says the abortion process will take three days. Like the previous call in Michigan, the caller is told that nothing needs to be wrong with the baby for her to have the abortion — and that the mother must be healthy to have the abortion. The caller is also pressured to act quickly, because her time is running out. The cost of the abortion would be $3,650. “Pro-abortion extremists demand that late-term abortions must remain legal in America for women whose lives are placed at risk if they don’t have access to them. This undercover investigation turns the tables on this pro-abortion fear mongering. Fr. Pavone encourages readers to contact their U.S. Senators and ask them to vote for the Pain Capable Unborn Child Protection Act. These abortions are committed despite the fact that babies are able to survive when delivered as early as 22 weeks, and some have survived after being delivered even earlier. It has also almost conclusively been determined that preborn babies can feel pain by 20 weeks, although some research suggests it can be as early as five weeks. Previous calls in this undercover investigation revealed that notorious late-term abortionist LeRoy Carhart will kill a 26-week old preborn baby for $7,000. 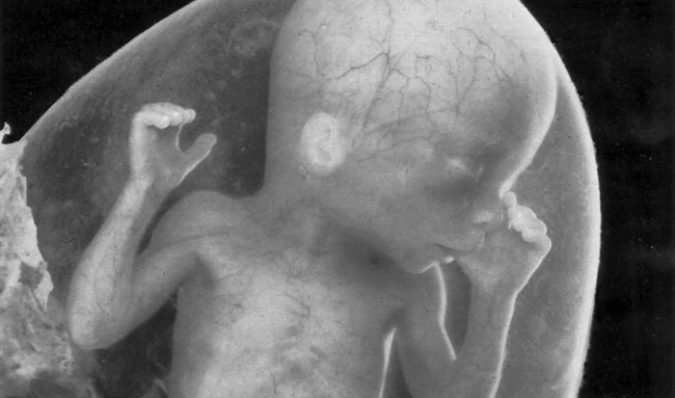 A Colorado late-term abortionist agreed to abort a 30-week old preborn baby, and an abortion staffer said that preborn babies are “euthanized” and then delivered stillborn. These investigative calls are vital, as abortion advocates claim that late-term abortions are only done to save the lives of women facing dangerous pregnancies, or so parents can abort their babies who have defects or abnormalities. But the reality is far more disturbing; most late-term abortions are, in fact, committed on healthy women and healthy babies.